Hermits Table Tennis Club was founded by Ron Hart in 1946, and is one of the oldest table tennis clubs in Bradford, perhaps even the oldest. It started as the tax office's table tennis team, from which the name 'Hermits' was derived - His Majesty's Inspector of Taxes (HMITs, pronounced Hermits), which, when the Queen succeeded the King, became Her Majesty's Inspector of Taxes - Hermits. Soon afterwards the club became independant and, through the years, played in several different venues until, in 1971, it built its own dedicated table tennis premises, where it remains to this day. 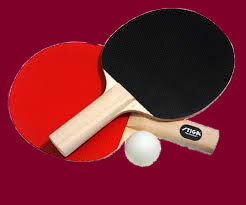 It is still the only table tennis club in the area to have its own dedicated premises. The new club premises were officially opened by the great English player, Johnny Leach, who was the last Englishman to be the World Singles Table Tennis Champion. The original premises were later extended to allow the club to play in the National League, which has certain playing requirements. Hermits have won the Bradford Championships 10 times, and, through the years, some of its members have played for Yorkshire and England. Table Tennis England’s Sally Shutt started playing table tennis at Hermits. At its peak, the Hermits club entered 24 teams in the Bradford League. More recently, the number of teams entered is around 12 to 14, but the number of divisions and players in the league is greatly reduced from what it once was, and Hermits still enters a lot more teams than any other club, and its facilities still remain second to none in the area.